Don Cherry Night is March 14 in support of @kidneycanada to increase awareness & organ transplant rates! F Alex Leavitt (Swift Current, Everett, 2003-05) has announced his retirement. This season, he had 19 goals and 41 assists in 46 games with the Braehead Clan Glasgow (Scotland, UK Elite). . . .
F Andrew Clark (Brandon, 2005-09) has signed a one-year extension with Innsbruck (Austria, Erste Bank Liga). This season, he had 23 goals and 34 assists in 49 games. Les Lazaruk was busy on Tuesday night, calling the play of the Saskatoon Blades’ game in Red Deer against the Rebels. But during some down-time earlier in the day, he compiled standings showing the WHL’s 22 teams before the Jan. 10 trade deadline, after the deadline, and going into last night’s games. Here you go (figures in parentheses are post-deadline) . . . The Calgary Hitmen were playing the Pats in Regina on Jan. 6 when G Cody Porter went down. Oh, did he! . . . “I had seven injuries on the one play,” Porter said in a story posted at hitmenhockey.com. “It was a third-degree separated shoulder, third-degree dislocated shoulder, third-degree broken collarbone, torn labrum, torn AC joint, torn rotator cuff and a torn Bankart lesion. So it was a pretty serious injury off a play that didn’t seem very serious at the time.” . . . After all that, you have to wonder if his nickname isn’t Doc. . . . Anyway, Porter worked amazingly hard at rehab and is back, at least in a backup role, and it’s just in time because G Trevor Martin is out day-to-day with an undisclosed injury. . . . Porter’s story is right here. When the Kamloops Blazers awoke on Friday morning, they were in Prince George, preparing for a game with the Cougars that evening. At the time, the Blazers were second in the B.C. Division, three points behind Prince George. doubleheader (8-4, 6-1), they were third in the division, seven points behind the Cougars and one behind the surging Kelowna Rockets. Tonight, the Blazers open a Wednesday/Friday doubleheader against the visiting Victoria Royals. On Tuesday night, the Royals opened a five-game trek with a 4-3 loss in Kelowna. The Royals went into that game having won six straight games, but all of those were against non-playoff teams (Kootenay, Vancouver and Spokane). Victoria will play in Kelowna again on Saturday. A Victoria sweep of the Blazers would move the Royals past the Blazers, knocking Kamloops into fourth place in the division. Such is life in the B.C. Division where four of the WHL’s most competitive teams reside. The Blazers will have F Jermaine Loewen back for tonight’s game after he served a one-game suspension incurred after he took a cross-checking major and game misconduct on Friday night. 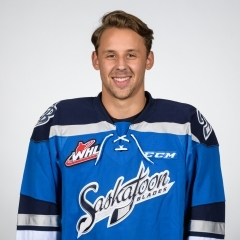 The Royals remain without D Chaz Reddekopp, who has been out since Feb. 15, and F Ryan Peckford, who hasn’t played since Feb. 7, both of whom remain week-to-week. 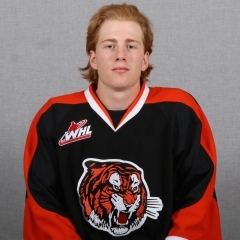 There is a chance that F Tyler Soy, who last played on Feb. 11, could return Friday in Kamloops. Mike Fraser, the writing scout, has been out on the playoff trail of late. Just the other day, he was at a bantam game in Alberta when he glanced at the players’ benches and counted the coaches — one, two, three, four, five, six, seven, eight, nine. . . . In his latest column for the Brandon-based Westman Journal Fraser wonders: What’s up with that? . . . It’s all right here. If you haven’t seen it already, former WHL/NHL D Brent Sopel opened up his heart and soul with a piece headlined Lost in My Mind that was posted at The Players’ Tribune on Tuesday. . . . This is a heart-wrenching piece about a man who came to believe he was stupid but now knows that he is learning disabled. . . . Former players like Corey Hirsch, who had a piece there earlier, and Sopel are proving that hockey players are people, too. . . . Sopel’s piece is right here. The Kamloops Blazers have a pair of 2016 bantam draft picks — F Connor Zary of Saskatoon and D Quinn Schmiemann of Wilcox, Sask. — practising with them this week. Zary, a second-round selection, had 45 points, including 27 goals, with the midget AAA Saskatoon Contacts this season. 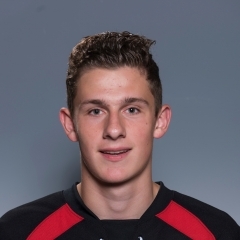 Schmiemann played with the midget AAA Notre Dame Hounds, who play out of Wilcox. He had 11 goals and 15 assists in 42 games. . . . Both players are scheduled to return to their homes on Sunday. . . .
F Keyvan Mokhtari of the BCHL’s Victoria Grizzlies has committed to Colorado College, starting with the 2018-19 season. A native of Burnaby, B.C., he had 36 points, including 19 goals, in 47 games with the Grizzlies this season. . . . Mokhtari, who will turn 19 on May 4, was a seventh-round selection by the Everett Silvertips in the 2013 WHL bantam draft. Nolan Foote got the Rockets started with his 17th goal — he’s 16 years of age — at 9:31 of the first period. . . . Kelowna went ahead 2-0 on F Carsen Twarynski’s 16 goal, at 4:33 of the second period. . . . F Calvin Thurkauf scored No. 33 just 22 seconds later. . . . F Leif Mattson (7) upped the lead to 4-0 at 5:19 of the third period. . . . The Royals made things interesting with three goals in the second-half of the third period. . . . F Jack Walker scored his 29th goal at 12:40. F Jared Dmytriw, who now has 15 goals, added scores at 12:58 and 18:45. . . . Walker also had an assist. . . . The Rockets got two assists from D James Hilsendager. . . . G Michael Herringer stopped 30 shots to earn the victory. . . . Victoria starter Giffen Outhouse was beaten three times on 22 shots in 24:55. Dylan Myskiw came off the bench to stop 15 of 16 shots in 34:48. . . . Kelowna was 0-2 on the PP; Victoria was 0-4. . . . The Rockets (41-21-5) have won five in a row to close with two points of the B.C. Division-leading Prince George Cougars. . . . The Royals (37-24-5) had points in their previous seven games (6-0-1). They are fourth in the B.C. Division, three points behind the Kamloops Blazers. The Royals play in Kamloops on Wednesday and Friday nights. . . . Announced attendance: 4,507.
tying goal, at 16:11 of the third period. He’s got 28 goals. . . . The Tigers got out to a 2-0 lead on goals from F Mark Rassell (34), who was playing in his 200th regular-season game, at 8:17 of the first period, and D Clayton Kirichenko (12), at 4:47 of the second. . . . The Ice took the lead on three third-period goals. F Brett Davis got his 18th at 1:44. F Colton Kroeker scored No. 17 at 6:40. F Vince Loschiavo, with assists on the first two goals, put the visitors out front with his 25th goal at 8:08. . . . Medicine Hat G Michael Bullion actually made a glove save on Loschiavo’s shot, but it turned out that the glove was over the goal line. . . . D David Quenneville had two assists for Medicine Hat. . . . Kroeker and Davis had one each for the Ice. . . . The Tigers had anticipated starting G Nick Schneider, but he came up ill during the warmup, so Bullion made his fifth straight start. He earned the victory with 24 saves. . . . G Payton Lee blocked 30 shots for Kootenay. . . . The Ice was 0-2 on the PP; the Tigers were 0-3. . . . The Ice went 1-3-1 on a five-game road trip. . . . Medicine Hat (47-19-1) leads the Central Division, by four points over Lethbridge and is second in the overall standings, three points behind Regina. . . . The Ice (14-41-11) has lost four in a row. . . . Announced attendance: 3,030. At Prince Albert, F Tyler Steenbergen broke a 2-2 tie with 57.9 seconds left in the third period as the Swift Current Broncos beat the Raiders, 4-2. . . . Steenbergen has 47 goals, one off the WHL lead that is held by F Tyler Wong of the Lethbridge Hurricanes. Steenbergen does lead the WHL in game-winners, with 11. . . . The Broncos iced it with an empty-netter from F Ryley Lindgren (23), at 19:42. . . . F Parker Kelly had given the Raiders a 1-0 lead, on a PP, at 8:57 of the first period. . . . The Broncos tied it when F Lane Pederson got No. 20 at 13:55. . . . It stayed that way well into the third period when F Kaden Elder put the visitors ahead with his 15th goal, at 10:25. . . . Kelly tied it with his second of the game and 18th of the season at 13:07. He’s got four goals and two assists over his past two games. . . . 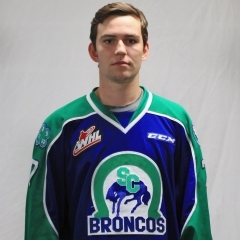 The Broncos got two assists from D Artyom Minulin. . . . G Jordan Papirny earned the victory with 33 saves. . . . G Ian Scott was beaten three times on 33 shots in 55:15, with G Nic Sanders stopping both shots he faced in 4:16. Sanders came on while Scott had an equipment issue. . . . The Raiders were 1-3 on the PP; the Broncos were 0-2. . . . Swift Current (35-20-10) has won five in a row, the last three of those on the road, and appears headed to a third-place finish in the East Division. . . . Prince Albert now is 18-42-7. . . . Announced attendance: 1,886. . . . Darren Steinke, the wandering blogger, was in the house and posted this right here. victory over the Rebels. . . . It was Shynkaruk’s second goal of the game, his fourth OT goal this season and his 10th game-winner of the season. . . . F Deven Sideroff of the Kamloops Blazers has five OT goals this season, tying the WHL record (F Eric Fehr, Brandon Wheat Kings, 2004-05). . . . Shynkaruk, 20, was a walk-on to the Blades’ training camp as he hoped to extend his WHL career. When this season began, Shynkaruk had 23 goals and 25 assists in 196 career regular-season games. This season, he has put up 51 points, including 30 goals, in 52 games. . . . Shynkaruk had opened the scoring, on a PP, at 1:12 of the first period. . . . The Rebels tied it at 12:10 of the second on F Evan Polei’s 29th goal of the season. . . . The Blades got 35 saves from G Logan Flodell. . . . At the other end, Riley Lamb also stopped 35 shots. . . . Saskatoon was 1-3 on the PP; Red Deer was 0-4. . . . The Calgary Hitmen didn’t want to see this game turn into a three-pointer, but it did. Saskatoon (26-31-9), which plays in Calgary tonight, moved into the Eastern Conference’s second wild-card spot, one point ahead of the Hitmen. Red Deer (26-28-12) is third in the Central Division, four points ahead of Calgary. . . . Announced attendance: 4,029. . . . Greg Meachem of reddeerrebels.com has a game story right here. It’s worth a click to see the photo by Rob Wallator that features Red Deer’s Matt Campese and Saskatoon’s Jackson Caller. victory over the Spokane Chiefs. . . . The Thunderbirds (42-19-6) lead the conference by one point over the Prince George Cougars. Seattle also leads the U.S. Division, by a point over the Everett Silvertips. . . . F Hudson Elynuik (26) gave the Chiefs a 1-0 lead at 5:55 of the first period, but the Thunderbirds roared back to score the next five goals. . . . F Alexander True (21) tied it, on a PP, at 9:08, and D Turner Ottenbreit (6) shot Seattle into the lead at 10:45. . . . D Anthony Bishop gave Seattle a 3-1 lead with his second goal of the season at 19:30. . . . F Keegan Kolesar (26) and F Donovan Neuls (14) added third-period goals for the winners. . . . F Kailer Yamamoto scored Spokane’s final goal, his 37th, on a penalty shot at 19:07 of the third period. . . . Seattle got two assists from each of F Mathew Barzal and F Ryan Gropp, with Kolesar adding one. Kolesar is riding a 15-game point streak. . . . Seattle D Ethan Bear had an assist in his return to the lineup, running his point streak to 13 games. . . . Seattle got 26 saves from Rylan Toth, who leads the WHL with 35 victories. . . . Spokane starter Jayden Sittler allowed five goals on 28 shots in 46:28. 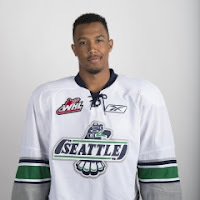 Donovan Buskey finished up, stopping all five shots he faced in 13:32 in the second appearance of his WHL career. . . . Seattle was 1-2 on the PP; Spokane was 0-3. . . . The Chiefs (26-29-10) have lost three in a row (0-2-1). They are 12 points out of a playoff spot with seven games remaining. . . . Announced attendance: 5,807. Prince George at Portland 7 p.m.